Prof Hayes is Professor of Metallurgical Engineering within the School of Chemical Engineering. He is currently the Metallurgical Engineering Program leader and is senior researcher in the Pyrometallurgy Innovation Centre (PYROSEARCH). He received his PhD in Metallurgy from the University of Strathclyde in Glasgow, Scotland, in 1974. He has a BSc (1970) and MSc(1972) in Metallurgy from Newcastle on Tyne, England. 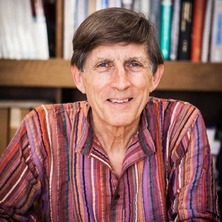 Professor Peter Hayes's research focuses on the high temperature processing of minerals and materials, with particular application to the pyrometallurgical production and refining of metals. His interests include chemical equilibria, reaction kinetics and mechanisms. High temperature phase equilibrium measurements and determination of liquidus isotherms in complex industrial slag systems relevant to the smelting of copper, ferro-chromium, ferro-manganese, iron, ferro-nickel, lead and zinc production and metal recycling. The development of thermodynamic models, and their use in conjunction with FactSage, to predict phase equilibria and thermodynamic properties in oxide systems. Reaction kinetics and mechanisms in metal and materials processing, smelting and refining; in particular, gas/solid reactions. Prof Hayes’ teaching interests include pyrometallurgy, chemical thermodynamics, and physical and chemical processing of minerals. He is author of the textbook “Process Selection in Minerals and Materials Production” by P.C. Hayes, Hayes Publishing Co, Sherwood, Brisbane, 3rd ed. 2004, and has been activity involved in program and curriculum development in the field of metallurgical engineering over a several decades. The significant impacts of morphological and interface stability on gas/solid reaction kinetics and for metals production. Phase equilibria studies and the formation of iron ore sinters for the iron blast furnace. Fundamental experimental studies of slag/matte/metal/gas systems in support of sustainable copper smelting and converting technologies with focus on metals recycling. 2004 CRC Association Award for Excellence in Innovation awarded to CAST CRC – supervised the original fundamental research for the role played in the development of SF6 cover gas technology for magnesium melt protection. 2010 TMS Science Award (The Minerals, Metals and Materials Society's (TMS)) Extraction and Processing Divisionthe best research paper for a series of four research papers published in the leading scientific journal Metallurgical & Materials Transactions B. "Phase Equilibria in Ferrous Calcium Silicates, Parts I-IV" (co-recipients S. Nikolic, P.C. Hayes, H. Henao, E. Jak)"
2018 TMS Extraction and Processing Science Award (The Minerals, Metals and Materials Society's (TMS)) for the best research paper published in the leading scientific journal Metallurgical & Materials Transactions B. FALLAH-MEHRJARDI, T. HIDAYAT, P.C. HAYES and JAK E., Experimental investigation of slag/matte/tridymite equilibrium in the Cu-Fe-O-S-Si system at controlled gas atmosphere: development of technique, Metall. Mater. Trans. B, 2017, vol.48(6), pp.3002-3016. 2018 TMS Best Paper Award Extraction & Processing Division. HIDAYAT T., FALLAH-MEHRJARDI A, HAYES P.C, JAK. E., Experimental investigation of gas/slag/matte/spinel equilibria in the Cu-Fe-O-S-Si System at T=1250 °C and P(SO2)=0.25 atm, Metall. Mater. Trans. B, 2018, vol.49B, pp.1-8. Most cited article in J. Applied Surface Science 2008-2010. Yamashita T. and Hayes P.C., Analysis of XPS spectra of Fe2+ and Fe3+ ions in oxide materials, Applied Surface Sci., 2007, vol. 254(8), pp. 2441-2449. Process Principles in Minerals and Materials Production 3rd ed. Edited by P. C. Hayes Brisbane, Queensland, Australia: Hayes Publishing co, 2003. Hayes, P. C. Process selection in extractive metallurgy. Brisbane, Australia: Hayes Publishing, 1985. Simento, N. J., Hayes, P. C. and Lee, H. G. (1998) Kinetics of decarburisation of levitating iron drops by oxygen. Steel Research International, 69 9: 349-354. Wu A., Hayes P.C. and Lee H.-G. (1998) Silicon and Manganese Transfer in Dynamic Conditions of Carbon-saturated Liquid Iron Drops Falling through Slag Layer. ISIJ International, 38 3: 213-219. Ghag S.S., Hayes P.C. and Lee H.-G. (1998) The prediction of gas residence times in foaming CaO-SiO2-FeO slags. ISIJ International, 38 11: 1216-1224. Wang L., Lee H.-G. and Hayes P. (1996) A new approach to molten steel refining using fine gas bubbles. ISIJ International, 36 1: 17-24. Wang, L., Lee, H. G. and Hayes, P. C. (1995) Modelling of air ingress and pressure distribution in ladle shroud system for continuous casting of steel. Steel Research International, 66 7: 279-286. Hayes, P. C., Schlesinger, M. E., Steil, H-U and Siegmund, A. (2010). Lead smelter survey. In: A. Siegmund, L. Centomo, C. Geenen, N. Piret, G. Richards and Ralph I. Stephens, PbZn 2010 : Papers originally presented at Lead-Zinc 2010. Lead-Zinc 2010, Vancouver, Canada, (343-414). 3-6 October 2010. Hayes, P. C. (2010). The development of product microstructure "morphology maps" and their significance in describing the decomposition of solids. In: Jim Evans Honorary Symposium - Held During TMS 2010 Annual Meeting and Exhibition. Jim Evans Honorary Symposium - TMS 2010 Annual Meeting and Exhibition, Seattle, WA, United States, (257-265). 14-18 February 2010. Hayes, P. C. (2004). Aspects of SAF smelting of ferrochrome. In: Tenth International Ferroalloys Congress. Tenth International Ferroalloys Congress, Cape Town, South Africa, (1-14). 1-4 February 2004. Teasdale, S. and Hayes, P. C. (2000). Mechanisms and kinetics of reduction of FeO from slags by graphite, coke and coal char under iron blast furnace conditions. In: G. Kaiura, C. Pickles, T. Utigard and A. Vahed, Fundamentals of Metallurgical processing, James M Toguri Symposium. James M Toguri Symposium, Ottawa, Canada, (467-479). 20-23 August, 2000. Cashion, S., Ricketts, N. and Hayes, P. (1998). Cover gas protection for magnesium- new perspectives. In: 4th Intl. Conf. on magnesium alloys and their applications, Germany, (465-470). .
Lee, K.Y., Lee, H.G. and Hayes, P.C. (1997). Break-up of liquid drops impacting on the surface of immiscible liquids. In: 80th Steelmaking Conference Proceedings, Chicago, (403-412). April 13-16, 1997. Wang, Laihua, Lee, Hae-Geon and Hayes, Peter C. (1996). A new method for removal of dissolved gases and inclusions from liquid metals. In: Proceedings of the 1996 International Symposium on Injection in Pyrometallurgy. The Howard Worner International Symposium on Injection in Pyrometallurgy, Melbourne, VIC Australia, (287-295). 1-3 July 1996. Simento, N. J., Hayes, P. C. and Lee, H. G. (1994). A study of decarburisation kinetics using levitated Fe-C-S liquid droplets in CO2 and O2 at 1450oC. In: Proceedings : Sixth AusIMM Extractive Metallurgy Conference. 6th AusIMM Extractive Metallurgy Conference, Brisbane, QLD Australia, (233-240). 3-6 July 1994. Nairn, J. D. and Hayes, P. C. (1994). An analysis of the process variables influencing the microstructures of lead blast furnace sinters at Mount Isa. In: Proceedings : Sixth AusIMM Extractive Metallurgy Conference. 6th AusIMM Extractive Metallurgy Conference, Brisbane, QLD Australia, (141-148). 3-6 July 1994. Ghag, S. S., Lee, H. G. and Hayes, P. C. (1994). Physical modelling of slag foaming. In: Proceedings : Sixth AusIMM Extractive Metallurgy Conference. 6th AusIMM Extractive Metallurgy Conference, Brisbane, QLD Australia, (63-70). 3-6 July 1994. Wu, A., Lee, H. G. and Hayes, P. C. (1994). Silicon and manganese transfer during the passage of carbon-saturated iron droplets through slag. In: Proceedings : Sixth AusIMM Extractive Metallurgy Conference. 6th AusIMM Extractive Metallurgy Conference, Brisbane, QLD Australia, (303-310). 3-6 July 1994. Lee, F. T. and Hayes, P. C. (1994). The gaseous reduction of zinc ferrite. In: Proceedings : Sixth AusIMM Extractive Metallurgy Conference. 6th AusIMM Extractive Metallurgy Conference, Brisbane, QLD Australia, (149-154). 3-6 July 1994. Grimsey, EJ, Li, H, Hayes, P and Lee, HG (1993). The Thermodynamics of Zinc-Oxide in Iron Silicate Slags. In: World Zinc '93. International Symposium on Zinc: World Zinc 1993, Hobart Australia, (431-437). Oct 10-13, 1993. Hayes, P.C. (1992). A review of the mechanisms of decomposition of solids and their relevance to extractive metallurgical processes. In: Proceedings of the International Conference on Advances in Chemical Metallurgy. International Conference on Advances in Chemical Metallurgy, Bombay, India, (). 9-11 January 1991. Lee, F. T., Nairn, J. D. and Hayes, P. C. (1992). The application of phase equilibrium studies to the characterisation of zinc and lead blast furnace sinters. In: Proceedings of the International Conference on Extractive Metallurgy of Gold and Base Metals. AusIMM Extractive Metallurgy Conference, Kalgoorlie, WA, Australia, (459-464). 26-28 October 1992. Lee, FT and Hayes, PC (1991). The Reduction of Zinc-Oxide. In: Fifth Ausimm Extractive Metallurgy Conference. 5Th Conf of the Australasian Inst of Mining and Metallurgy : Extractive Metallurgy, Perth Australia, (263-267). Oct 02-04, 1991. Struthers, A. A. and Hayes, P. C. (1991). The effects of thermal pretreatment on the electrical conductivities of rutile and zircon. In: Proceedings of the Fifth AusIMM Extractive Metallurgy Conference. Proc 5th AusIMM Symposium on extractive Metallurgy, Perth Australia, (19-22). 2-4 October 1991. The reduction of PbO-Silicate melts using CO.
Russell, R.W. and Hayes, P.C. (1987). The reduction of PbO-Silicate melts using CO.. In: Proceedings of Symposium on Research and Development in Extractive Metallurgy. Research and Development in Extractive Metallurgy, Adelaide, (). 1987. Hayes, P. C. (1984). A basic approach to the analysis of extractive metallurgy processes. In: Symposium on Extractive Metallurgy, AusIMM. Symposium on Extractive Metallurgy, Melbourne VIC, Australia, (147-152). November 1984. Nakiboglu, F., Hayes, P. C. and Biswas, A. K. (1980). Factors affecting the swelling or iron oxide pellets on reduction. In: Proceedings of Australia-Japan Extractive Metallurgy Symposium, AusIMM. Australia Japan Extractive Metallurgy Symposium, Sydney, Australia, (157-165). 16-18 July 1980. Step Change Technologies in Ironmaking Slag Compositions for Use in the New Low Energy Blast Furnace Practice. A new methodology for the measurement of transition metals ions in complex, high temperature oxide systems relevant to non-ferrous metal production. Slag diagrams for lead/zinc smelting. Thermodynamic modelling of metallurgical slag systems.